Furnace carts of this type are used in the rotation furnaces for baking of different products from flour. 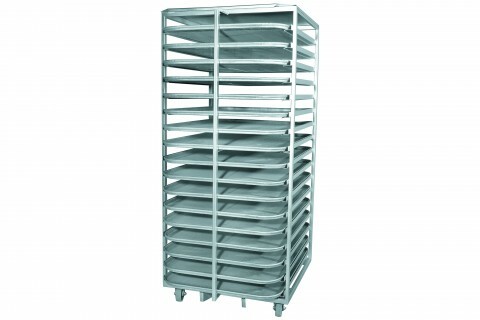 Carts are manufactured of stainless steel or the colored metal. Thanks to existence of wheels they easily move, turning mechanisms increase maneuverability.